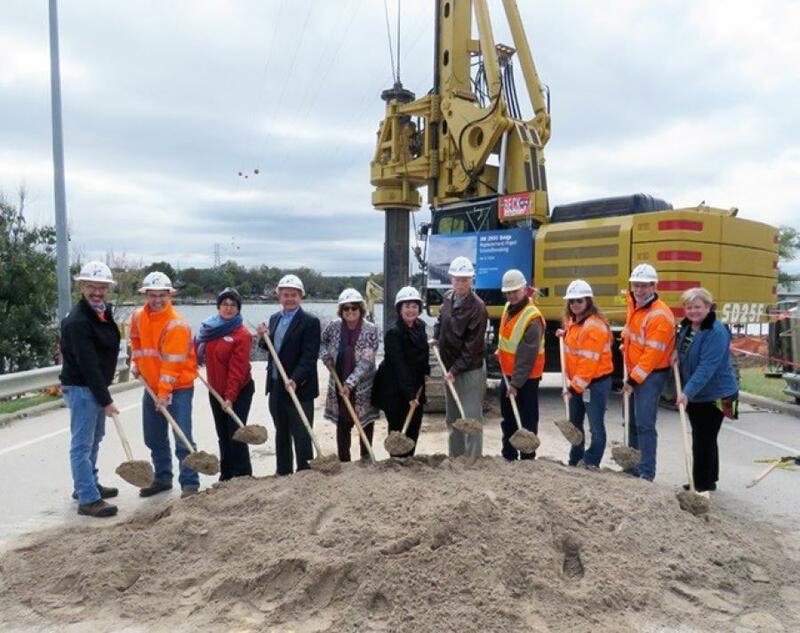 The Texas Department of Transportation, along with state and local officials from Llano County, held a groundbreaking ceremony on Nov. 16 to celebrate the construction of the RM 2900 replacement bridge, which began just three weeks after raging floodwaters washed away the old one. The Oct. 16 flood along the Llano River arm of Lake LBJ was the largest flooding event since 1935. At the height of flooding, the river was discharging an estimated 290,000 cu. ft. of water per second. After the bridge was washed out, TxDOT got to work immediately on plans for a new one, awarding a contract in just 15 days. "The new bridge will cost $17.3 million, which includes incentives for the contractor, Capital Excavation Company, to expedite construction," said Terry McCoy, TxDOT Austin District engineer. "If all goes well, the new bridge will open by next April." The bridge will be widened to include 12-ft. travel lanes, 6-ft. shoulders and a 6-ft. sidewalk. It will also be built as a "perch" bridge, meaning the center of the bridge will be higher than the ends. At its highest point, the new bridge is expected to be about 5-ft. higher than the previous bridge. 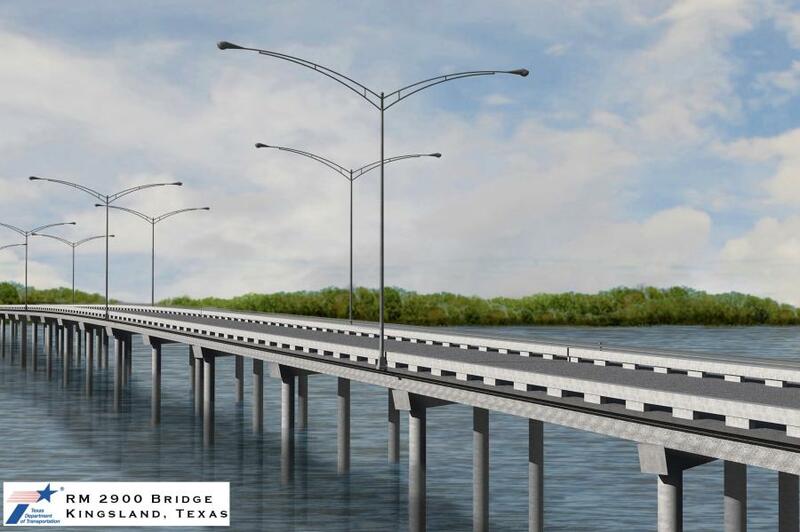 "Texans expect their elected officials to work together in times of need, and I am proud to be part of the effort to have the 2900 bridge in Kingsland rebuilt as quickly as possible," said Dawn Buckingham, State Senator District 24. "Over the next few months I will continue to work with TxDOT, as well as local leaders and our federal partners, to ensure recovery efforts adequately meet the needs of the communities affected by flooding." Approximately 5,600 vehicles a day travel RM 2900, a north-south route between RM 1431 and SH 71. While the bridge is under construction, drivers are encouraged to use RM 1431 to access Kingsland.